“As for you, turn about and march into the wilderness by the way of the Sea of Reeds. You replied to me … ‘We will go up now and fight, just as the L-rd our G-d commanded us.’ And you all girded yourselves with war gear and recklessly started for the hill country. But the L-rd said to me, ‘Warn them: Do not go up and do not fight, since I am not in your midst; else you will be routed by your enemies.’ … Then the Amorites who lived in those hills came out against you … and they crushed you at Hormah in Seir” (Devarim 1:40–44). Terumah, the Sages tell us, can be used by kohanim for food, drink, and ointment but cannot be used for other purposes, such as planting. Should terumah be sown, the ensuing plants will also be considered terumah. The Mishnah discusses what someone should do if he sowed terumah and wants to rectify his deed. If he planted the terumah seeds accidentally, he is permitted to overturn the soil (according to Rambam’s explanation). In this way he can turn the clock back, as it were. However, if this was done intentionally, the farmer must leave the terumah seeds in the ground even if nothing has yet sprouted from them. Even if the farmer who planted the seeds deeply regrets his actions, he can’t undo the damage. He has to leave the terumah in the soil and afterwards handle the crops appropriately, as they have terumah sanctity. However, we need to understand an important point here: the same G-d that forbids us to plant terumah seeds is the G-d Who commands us (through the Torah sages) to leave them in the ground! That is, Hashem’s guidelines do not disappear once a person sins, but it is highly possible—as is the present case—that these guidelines are different before and after a sin. The sin of the spies was of enormous magnitude, and constituted a huge defect in our faith in G-d and in our love of His Land that He, in His lovingkindness, wanted to give us. The Israelites did not understand this at the time, and cried for naught; the results we carry with us on our collective backs, remembering them in our mourning on Tishah B’Av. Only after the fact did the Israelites understand the magnitude of the sin, but here they missed a vital point. An important part of recognizing the sin, one of the stages of repentance, is understanding that after the sin the situation has changed. That is, it is important to recognize one’s sin, to want to rectify the sin, and to have faith that this is possible. However, we must also understand that we are no longer in the same place that we were before the sin, so the guidelines we need to follow in the present situation may very well be different. This is an integral part of recognizing the sin, and an essential part of our obligation to nullify our will before G-d’s. The ma’apilim from Parashat Shelach (or the “reckless ones,” from the word teheinu; the term ma’apilim is not mentioned anywhere in Devarim) realized that they had sinned but failed to understand that reality had changed post-sin. If G-d, against Whom they realized they had sinned, commands them not to “go up,” but they are determined to do so nevertheless, they missed the main point here: subjugating to G-d’s will. If beforehand rejecting the Land of Israel was a sin, while entering it was a mitzvah, now, following the sin of the spies, reality has changed. Now, going up by force into the Land of Israel is in and of itself a sin. The desire to forget about what happened and rectify one’s actions — turning back the clock, as it were — is completely understandable, but it is not always appropriate. Sometimes, it is precisely the realization of the magnitude of the sin can bring us to contemplate the enormity of our fall and to realize what we have lost. It is only at this point that can we continue onwards towards our new role and purpose, post-sin. Tishah B’Av is the day the Jewish people focus on our tremendous national losses throughout all of history. It is a day of pain, but not of despair. Our losses were awesome — a loss of our closeness to G-d, and His Divine presence that had been so palpably among us. We lost the House of G-d, along with a large number of mitzvot tied exclusively to its presence. This doesn’t mean, however, that we no longer have a job to do. We most certainly do, but we need to understand that this job is different. The recognition of the situation we have deteriorated into, along with exerting our utmost effort to fulfill G-d’s will and do what He wants of us at this present moment, has the power to restore the Beit HaMikdash to its former glory. 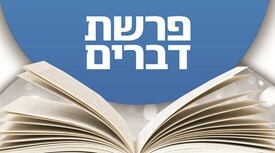 HaRav Moshe Bloom is head of the English department of Torah VeHa’aretz Institute. Torah VeHa’aretz Institute (the Institute for Torah and the Land of Israel) engages in research, public education, and the application of contemporary halachic issues that come to the fore in the bond between Torah and the Land of Israel today. For additional information and inquiries, e-mail h.moshe@toraland.org.il or call 972-8-684-7325.